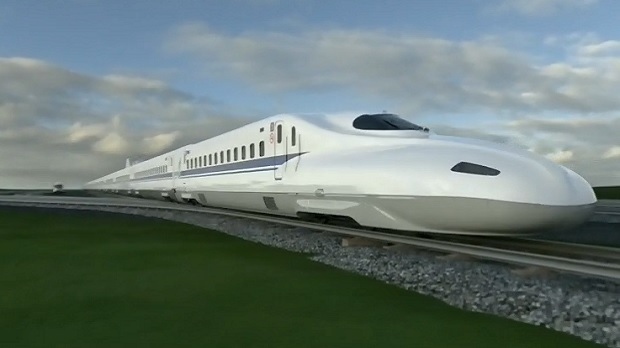 The province is planning to table a proposal for a new high-speed rail line to connect major cities in southern Ontario, a CTV News Toronto investigation has learned. TORONTO -- Ontario is pausing all capital funding for a proposed high-speed train corridor from Toronto to Windsor, Ont., a move opposition critics says will derail the project. The province's 2019 budget delivered last week said the Progressive Conservative government will explore ways to enhance current train speeds and service levels. "We're dealing with financial difficulty within this province," he said. "We're dealing with a deficit and huge debt so we want to make sure we're going to make the right investments going forward." The decision on high-speed rail comes in the Tory government's first budget, a spending package which pegs the province's current deficit at $11.7 billion and debt at $343 billion. "We're going to be looking at all of the other avenues for travel between Windsor, London, Kitchener, and Toronto," Yurek said. The minister said the government can't brush aside the concerns of rural residents who said the project would have economic and environmental impacts on their communities. "We want to make sure that people who are effected by this build had their voices heard," he said. "The previous government ignored the voices of anybody outside of urban areas." The Tories' budget highlights the concerns of the farming community, which warned a physical barrier necessary to build the line would "eliminate countless hectares of prime agricultural land". "That project is dead in the water as far as the Conservatives are concerned," she said. "They've decided that they don't want to have anything to do with planning for the future of transportation in Ontario and I think that's irresponsible." Green party Leader Mike Schreiner said the budget has people in Southwestern Ontario concerned that the high-speed rail project won't move forward. "(The government) may have talked a lot about transit in Toronto, but we heard nothing about transit outside of Toronto," he said. "I'm not sure Windsor is on this government's map," he said. "That high-speed rail line is about strengthening our economy."